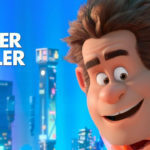 The El Capitan Theatre has announced special screenings of Disney’s upcoming highly-anticipated sequel Ralph Breaks the Internet. 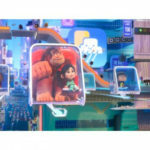 The special engagement of Disney’s Ralph Breaks the Internet will be held from November 20 through December 16. The new film will be shown in brilliant Dolby Vision Laser Projection with Dolby Atmos Sound Technology, and in Disney Digital 3D on Sundays at 10:00AM and Wednesdays at 7:00PM. 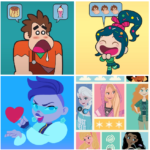 Guests can take selfies along the Ralph Breaks the Internet themed mural wall and enjoy living internet projections before the start of the movie. 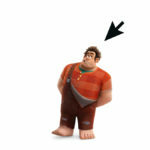 A special double feature will be held on opening night beginning at 4 PM, featuring a screening of Wreck-It Ralph before the premiere of Ralph Breaks the Internet. The El Capitan Theatre will also host a very special Tiny Tot Tuesday for the first show every Tuesday, during which parents and small children may enjoy the movie in a tot-friendly way—with lights dimmed rather than out and reduced sound levels. Dave & Buster’s movie & meal package tickets will also be available for all showtimes November 21, 2018 – December 16, 2018. The package includes a reserved seat to see the movie at The El Capitan Theatre, and a meal at Dave & Buster’s plus $10 Game Card. Reservations are required in advance. Tickets are now on sale online, by calling 1-800-DISNEY6 and at The El Capitan Theatre box office.